In November of this year, acclaimed artist and current President of the Royal Society of Painter Printmakers, Mychael Barratt will present a new collection of work in his solo show 'Maps, Myths and Muses' at Sarah Wiseman Gallery. Looking at Mychael Barratt's prints and paintings is an adventure through time. Describing himself as a 'narrative artist', he collects, categorises and sorts a vast assortment of characters and events both fictional and historical, creating intricate works that amuse and absorb the viewer, some of them very large in scale. In 'Maps, Myths and Muses' Mychael anticipates a mixture of themes, all responding to his interests in history, art history, theatre, maps and literature. 'This exhibition will be technically and thematically diverse but hopefully all of the works will share an autographic mark of the maker and a sense of humour,' he says. Mychael is knowledgeable in all of his interests, researching meticulously for his larger works. In the style of a Hogarth conversation piece, he creates rooms full of well-known artists spanning the centuries, all gathered as if in discussion. 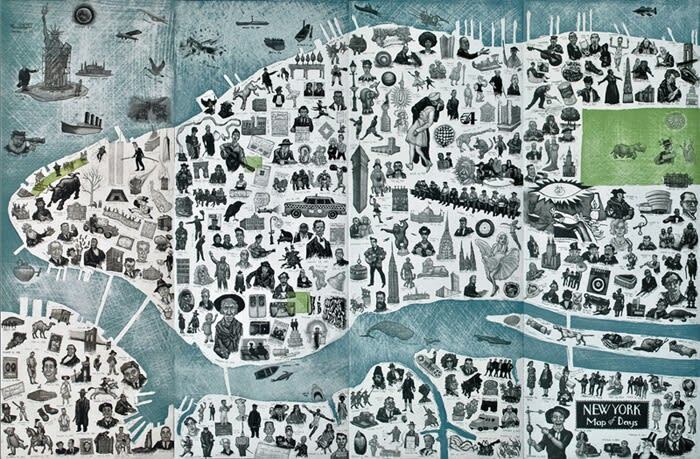 In his more recent work, he has re-imagined maps of great cities such as London, or New York. Unearthing obscure historical events, he plots each them each in their relevant locations using detailed illustrations. 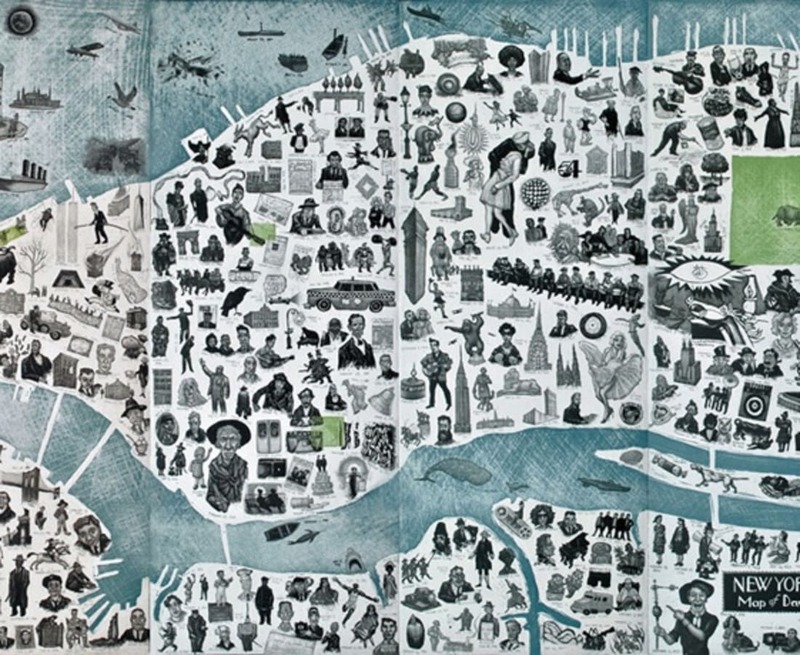 By using etching, a technique for which he is well-known, the art work echoes the many traditions of map-making and narrative artworks from across the centuries. Mychael is also planning some newer pieces inspired by Oxford, where Sarah Wiseman Gallery is located. 'I'm planning a couple of Oxford specific pieces and one very large scale painting based loosely on the works of William Hogarth,' he adds.